Tax deductions reduce the amount of your income that’s subject to tax, which makes them extremely valuable if you earned a lot from freelancing and you’re worried about getting stuck with a big tax bill. With so many different deductions floating around, knowing which ones you can claim is a must to make sure you’re not paying more in taxes than you need to. 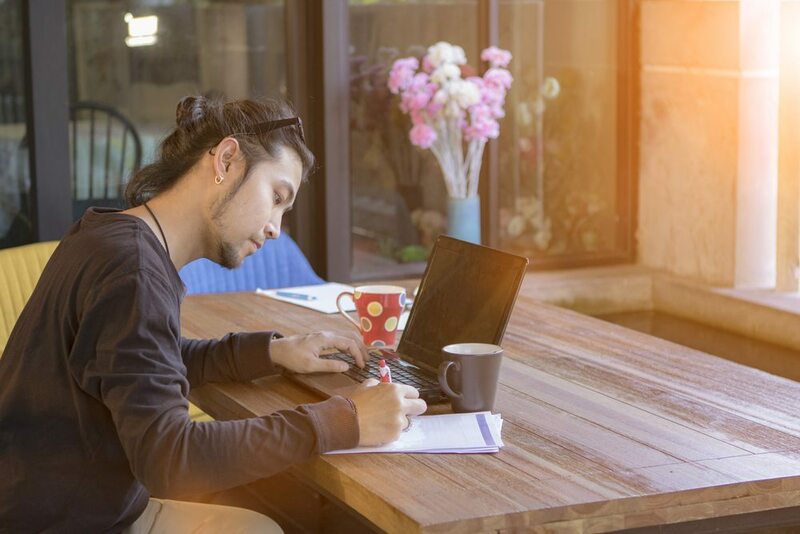 Here’s a look at some of the biggest tax deductions changes for freelancers for 2018. Individuals will only be able to claim an itemized deduction of up to $10,000 (for a married taxpayer filing separately, $5,000) combined for state and local property taxes and income taxes. Taxpayers in areas with high income and property taxes suffer the most from this change. Deductions for moving expenses are gone after 2017 for most taxpayers, except qualifying members of the Armed Forces. This change also affects tax-free reimbursement of job-related moving expenses. The new rules for meal expenses incurred and paid from Jan. 1, 2018 to Dec. 31, 2025 are limited to a 50% tax deduction. This includes employer expenses associated with providing food and beverages to employees through a facility. Entertaining expenses that are incurred and paid for starting Jan. 1, 2018 cannot be deducted. One major change from the tax reform bill is that everyone is paying lower tax rates, in general. Using tax-advantaged accounts, you can lower your tax rate even more. Effective in 2018: $12,000 (single and all other taxpayers); $18,000 (head of household); $24,000 (married). When you’re a freelancer, enrolling in an employer’s health insurance plan isn’t an option. Instead, you have to purchase your own coverage which can sometimes mean paying some high premiums. The good news is that as long as your freelance efforts produced a profit, the amount you pay in can be deducted when you file your taxes. You don’t have to itemize to deduct your health insurance premiums but the deduction is only good for the months that you weren’t covered by an employer’s plan. So for example, if you worked the first three months of the year at a regular job and then left to go freelance, only the premiums you paid after that would be tax deductible. Tip: Choosing a high deductible insurance plan will lower your premiums and you can get another tax break if you’re able to open a Health Savings Account. Nothing has changed with the way that you can deduct student loan interest paid. Up to $2,500 in interest can be deducted from your taxable income. The home office deduction gets a bad rap because it’s typically associated with a higher audit risk but the truth is, the odds of being audited automatically go up if you file a Schedule C. If you use part of your home exclusively for freelance work, you shouldn’t be afraid to claim the deduction as long as you have the necessary records to back it up. 1. You can use the regular method, which is based on the percentage of your home you use for business and your actual expenses. 2. The simplified method values the deduction at $5 per square foot. If you’re not sure which way to go, running the numbers is a pretty simple way to see which one’s going to give you the biggest benefit. For example, if you use a 100-square foot room in your home for business, your deduction would be worth $500, based on the simplified method. Now let’s say you live in a 2,000 square foot home and your total cost of maintaining the property, including your mortgage payments and utilities, is $20,000 a year. That same 100 square foot office would equal 5 percent of your home’s area, which means you can write off 5 percent of your total expenses, doubling your deduction to $1,000. If you’re not taking the time to figure out what the difference is, you could be costing yourself money. Did you know? It’s estimated that as many as 26 million Americans have a home office, but only 3.4 million take advantage of the deduction. Some freelancers require very few tools to get the job done. If you’re a writer or blogger, for example, all you may really need is a good computer and maybe a comfy place to sit. On the other hand, if you design websites or you’re a professional photographer, you’re probably going to need to invest in some specialized equipment. The Section 179 deduction covers any tangible property you purchase for business use. That includes things like laptops, copy machines, printers, furniture and computer software. For the 2014 tax year, the deduction was retroactively capped at $500,000, which is pretty sweet if you spent big bucks on new equipment last year. As of January 1st, the deduction limit dropped back down to $25,000 which means freelancers won’t be able to get quite as much of a write-off as they have in years past. Freelancers who travel to meet with clients or work in other cities have the advantage of being able to deduct some of their expenses. Typically, this includes things like hotel stays, airfare, cab fare. If you normally drive your own car to get back and forth to out of town business meetings, you may also be able to write off some of your mileage. To satisfy the IRS requirements for the deduction, you have to spend at least one night away from home and keep records of all your expenses. That includes things like credit card receipts from your hotel, receipts for gas or a mileage log of detailing the dates you traveled, the locations you visited and the distance. The standard mileage rate is set at 54.5 cents per mile for the 2018 tax year. Billing your clients through PayPal is a pretty easy to collect payments but there’s a catch since there’s typically a service fee to process the transaction. You could ask your client to cover the fee on their end or just tack it on to your bill, but it’s not always an issue you can negotiate. The good news is you can deduct any of those annoying fees you pay throughout the year. Tip: If you receive more than 200 payments and $20,000 through PayPal in a single tax year you’ll be issued a special 1099-K that you’ll need to include when you file your taxes. Becoming a freelancer doesn’t just change the way you work; it also changes the way you manage your money. One area that requires special attention when you’re self-employed is your tax filing. To be successful as a freelancer, you have to treat it like a business in terms of marketing yourself and how you treat clients. The same idea applies to your taxes, since you’re solely responsible for making sure the IRS receives the right information. When I first started freelancing, taxes was something I only paid vague attention to since I wasn’t earning that much to begin with. Over time, I learned more about how freelance taxes work and what follows are 10 rules every newbie needs to keep in mind. When you’re working for a company as a paid employee, they’re responsible for tallying up your earnings for the year. These are reported, along with the amount of taxes you’ve paid, on your W-2. As a freelancer, you’re considered an independent contractor, which means you’ll be issued a 1099 at the end of the year. If you’re relying solely on 1099s to tell you how much money you made, you’re taking a big risk. It’s always possible that a client could omit a payment or make a mistake in their calculations. If you file your taxes based on incorrect information, you could be in for a nasty surprise if the IRS determines that you actually owe more money. Keeping your own records is a smart move to avoid errors. I use a basic spreadsheet to track my income throughout the year. Specifically, I make note of what the project was, which client it was for, the amount, the date it was invoiced and paid and my net earnings after any PayPal or bank fees are deducted. It’s a fairly simple system, but it’s proven effective. I once had a client send a 1099 that was short by several thousand dollars and thanks to my spreadsheet, I was able to pick up on the error right away. Underreporting or omitting income on your tax return is a major no-no and it’s a mistake to think that the IRS won’t catch on. For one thing, when a client mails you a 1099, they also send a copy to Uncle Sam so if you leave one out at tax time, your records aren’t going to match up with what the IRS already has on file. Even if you’ve got a client who’s less than diligent in their record keeping, that doesn’t mean you should take a gamble on not reporting your income. One year, I had two different clients who never issued a 1099, even after I contacted them about it. It added up to a nice chunk of cash and while it was tempting to just forget about reporting it, I made sure it showed up on my return. If you’ve been freelancing for a while and you haven’t set up separate bank accounts for your business and personal spending, that should be at the top of your to-do list. For one thing, it simplifies your record keeping. You can easily see all of your income for the year and any expenses you incurred for the business without having to weed out what you spent on groceries or dinners out. When you’re getting a regular paycheck, your employer is responsible for making sure that the appropriate amount of tax is withheld. As a freelancer, you may have to make estimated payments four times throughout the year, beginning in January. These payments are designed to cover your projected tax liability so you don’t end up with a big bill when April 15th rolls around. Generally, you’re not required to make estimated payments if you didn’t owe any taxes during the previous year, you expect your total tax due for the current year to be less than $1,000 or your prior year’s federal withholding is equal to 90 percent of what you think you’ll owe. Be aware that if you don’t make estimated payments through the year and you end up owing taxes when you file, you could get hit with a penalty for underpayment. Freelancers are responsible for paying income tax but you’re also on the hook for self-employment tax. This is an additional tax that’s designed to cover the Social Security and Medicare amounts that would normally be withheld by a traditional employer. For self-employment tax rate is 15.3 percent for up to $128,400 in income. The most you’ll have to pay in self-employment taxes for the year is $19,645.20 (A self-employed person having net income of exactly $128,400 in 2018). That’s on top of whatever you’ll owe at your regular income tax rate. The IRS has very clear rules on what you can and can’t include as a deduction on your taxes. Calling the corner of the living room where your laptop is located a home office probably isn’t going to cut it. Generally, in order for something to be considered a deductible business expense, it must be both reasonable and necessary. This can apply to things like a new laptop, business cards or travel expenses as long as they’re incurred as a direct result of your freelance work. If you’re in doubt about whether some qualifies, your best bet is to get advice from a tax expert or just leave it out altogether. Any time you plan to deduct something on your taxes, you’ll need a receipt or other documentation to back it up and that’s especially true when you’re running a freelancing business. Collecting all your receipts in a shoebox is a way to keep your physical receipts in one place, but using a program like Quickbooks cuts down on the clutter. The software has a lot of features that are appealing to freelancers, including the ability to sync it with your bank account, track your expenses, create customized invoices and pay your bills. The most basic version costs $13.99 a month but if you don’t have the extra cash to spend, you can still keep tabs on what you’re spending with a free app like Expensify. The words “tax audit” are enough to send a shiver down anyone’s spine and while they typically only affect a small percentage of the population, freelancers may be more susceptible. Statistically, filing a Schedule C on your taxes makes you two to four times more likely to get hit with an audit. The odds of being targeted increase by how much money you make so that’s something to keep in mind as you expand your freelance business. Being self-employed has lots of perks but unfortunately, a retirement plan isn’t one of them. Fortunately, there are several options out there that can help you build your nest egg while earning you some tax benefits. For example, as a member of the Freelancer’s Union, I’m eligible to participate in a solo 401(k), which offers higher annual contribution limits than a traditional or Roth IRA, along with the ability to deduct the money that goes in from my income. There’s technically no employer match but I can chip in cash as an employer and an employee to the tune of $53,000. Not only can I save for the future but I also score a tax break in the meantime by claiming the deduction. Filing your taxes can be complicated enough when you’re dealing with W-2s and the standard deductions. When you throw in business expenses, estimated payments and self-employment tax, it can be even more challenging. If your freelance business has really taken off or you haven’t been keeping the best records so far, paying a tax expert to handle things for you may be a wise investment. Being a freelancer means juggling a lot of different balls at once but your tax filing isn’t one you can afford to drop. Every penny you deduct has a positive impact on what you owe so there’s no excuse for passing up any of these money-saving deductions. Rebecca is a writer for MyBankTracker.com. She is an expert in consumer banking products, saving and money psychology. She has contributed to numerous online outlets, including U.S. News & World Report, and more.